Most people struggle to build wealth, even if they have a high income. People with low incomes face an especially difficult challenge when it comes to building wealth. If you’re scraping by on a low income, you probably can’t prioritize saving a huge portion of your income. That means that every dollar you manage to save and invest needs to go to its best possible use. The following are the six places people with low incomes should consider investing to maximize their long-run wealth-building potential. The average person working full-time in the United States earns $876 per week. However, not everyone earns that much money. Around where I live, most entry-level full-time jobs offer about $14 per hour which adds up to $560 per week (assuming a 40-hour work week). While $14 per hour is a decent wage for someone who is just getting started, it’s not the type of wage that will make you wealthy. If you’re trying to support a family on $14 per hour, you’re going to struggle to make ends meet. Most of the advice you’ll hear about investing starts with setting aside a certain percentage of your income. However, if you’re earning an entry-level salary ($500 per week or less), that’s not good advice. Instead, most of your extra time and a significant portion of your income needs to go towards a plan for career and income advancement. Look around your current career field, and ask, “What does it take to double my salary?” Whether you’re a line cook at a restaurant, working construction, mowing lawns, or a personal care assistant, I bet you can find someone who earns at least double what you earn. Most of the time that person earning double what you earn doesn’t have more degrees than you, and they probably aren’t that much smarter than you either. They’ve just figured out how to earn twice as much money in the same amount of time. Once you convince yourself it’s possible to double your salary, you need to make a plan to do it. Sometimes that plan will start with earning additional certifications. When I worked in a warehouse, getting my certification to drive a forklift (a three-hour investment that my employer paid for) yielded a raise of $4 per hour. Some people can increase their income by reading books on sales and marketing (and putting the information into practice). Still other times, you’ll want to purchase some courses or tools to help you build up your skills. Once in a while, you just need to find a new job or ask for a raise. This is key because failing to negotiate your salary can cost you a lot of money. Many people find that connecting with successful people is the best way to invest in themselves. One caution about investing in yourself: going back to school isn’t always the best way to invest in yourself. Unless you have a clear need for a bachelor’s degree, the time and money you spend in college could go to waste. Ideally, the time and money you spend educating yourself and developing new skills will quickly lead to a higher income which will give you more opportunities to save and invest for the future. Investing in career advancement will almost always yield the highest return for people with low incomes, but that doesn’t mean saving and more traditional investing is unnecessary. In fact, most of the time having some savings will be critical to launching a new phase of your career. Even at a low income, you should aim to save at least 10% of your income in cash. If you do this consistently for one year, even while earning $14 per hour, you’ll have $2,800 in savings at the end of the year. That’s enough cash to pay for a small medical event, a car repair, and still have enough to invest some money in books, tools, or equipment to help yourself get ahead in your career. If you have trouble keeping your savings saved, I recommend setting up an account in the Rize Money app. Rize makes it easy to set up automated savings plans where you separate money from your checking account, and track progress towards your goals. Or, check out our list of the best online banks to find a bank that works for you. After investing in career advancement and cash savings, the next investment avenue to consider is whatever you know well. Some people can invest money in sneakers. Some people can invest money in junky cars that they fix up and sell for a profit. Others can invest in inventory for an Amazon business. If you have any ability to buy low and sell high in a particular field, then you should invest your money in that field. Can you turn old wooden furniture into family heirlooms? Then spend your time in a flea market. You don’t need to invest your money in stocks or real estate to be a real investor. Investors spend money with the expectation that they will earn a profit. When you see a profitable opportunity, take advantage of it. In a few years, when you’re earning six figures, selling a vintage Adidas nylon jacket for a $20 profit might seem like a huge hassle. But if you’re earning $14 per hour, selling that jacket is worth an hour and a half of work. The first three investment options that I’ve given to you aren’t traditional, but they should be effective at least until you escape low-income traps. However, if you’re a low-income earner that has enough money to invest in your career, cash savings, and in something you know, then it’s time to start thinking about more traditional investments. 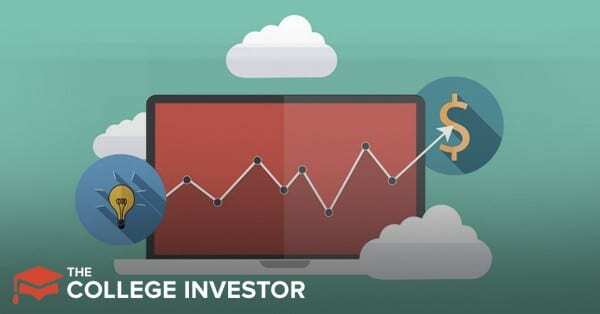 Once you enter into the world of traditional investing, opportunities for huge wins aren’t easy to find, especially if you have a low income and not a lot of savings. The one exception to this rule? Retirement accounts with an employer match. If you’re working for a fairly large company, they probably have a 401(k) option for full-time employees. Often you’ll get a 50% to 100% match for the first 3% to 6% of your income that you contribute to the account. That’s an immediate 50% to 100% ROI. If you have any spare money, invest in your company’s 401(k) to at least the match amount. As your income grows, you can make a goal to max out the 401(k) with $18,500 in annual contributions. Don’t have an employer account, but you still want to invest in stocks, bonds, ETFs, or mutual funds? The Roth IRA is the place to do it. M1 Finance allows users to set up an account with just $100, and it will manage your account for free. Fidelity is a more traditional brokerage, but they have no account minimums and hundreds of commission-free ETFs. In general, people with low incomes benefit from investing in Roth IRAs rather than traditional IRAs. Although you have to pay taxes on the money you invest, the growth and dividends in the account come out tax-free during retirement. The earlier you can start investing for retirement, the better off you’ll be when it’s time to retire. A lot of people assume that you need to have piles of wealth to enter into real estate investing. Thankfully, that isn’t true. Chad Carson, a real estate investor and real estate investing coach writes extensively about different ways to learn the real estate business when you have no money. Often, budding real estate investors get their start by house-hacking or wholesaling properties. The early phases of real estate investing are rarely glamorous, but they can be a profitable way to invest, especially if you can use hustle and skills to make up for a lack of cash. Check out these ways to get started investing in real estate for just $500. The bottom line is, no matter your income level, you need to make plans and think about investing. Whether that's investing in yourself and your earning power early on, or investing in financial assets when you have a little bit of money. Remember, the earlier you start investing (even in yourself), the faster you'll reach your financial goals. Real estate is by far the best way for low income earners to get ahead. I get so tired of the new trend that buying a house is not an investment. Most people gain their wealth from real estate for numerous reasons. It is also a forced savings plan. If people take additional steps to buy below market, and really research the best ways to buy a house it can be an awesome investment. Not to mention tax freein most cases if you live there for at least 2 years. I think for most people, they don’t buy a house as an investment. A house can be an investment, but it’s not unless you approach the transaction as an investment. I would say the vast majority of people buy a house for preference rather than investment. As a result, if you take the same money and deployed it elsewhere, it probably would do better over the same period of time.